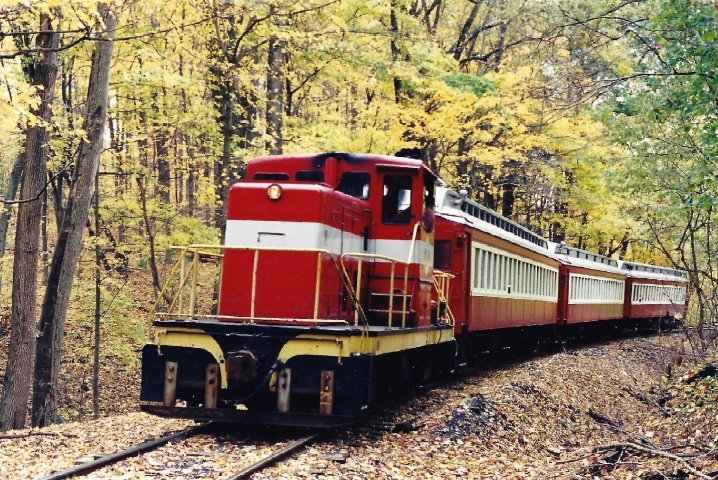 Join us for an 11-mile round-trip train ride along the Swatara Creek. Learn the history of the area, the Union Canal, & the railroad from a live narration. Passengers board our 1920's vintage Delaware, Lackawanna & Western coaches at our 1891 Station in Middletown, PA, which was originally built as a freight station and in more recent years converted for use as a passenger station. The Station contains a ticket window & gift shop. Relax on the porch & socialize. Following the towpath of the canal completed in 1827, the train travels north toward Hummelstown. Much of the canal is still visible alongside the peaceful Swatara. The narration tells of other historical facts, Horse Thief Cave folklore, and many more fun facts about the rail line and south-central Pennsylvania. On the return trip, crew are available to talk with you and answer questions. Light refreshments are available from the snack concession, proceeds from the snack bar go to preservation of our historic equipment. General Information: Dates Closed: January, February, March (unless Easter is in March).